Dommin’s New Album “Beautiful Crutch” is Now Available! Dommin has released their new album “Beautiful Crutch.” You can download or stream it everywhere digital music is sold including iTunes, AppleMusic, Pandora, Spotify, GooglePlay and Amazon. The PledgeMusic campaign has concluded and fans will be receiving their exclusive merch, signed CDs and vinyl in the weeks to come. 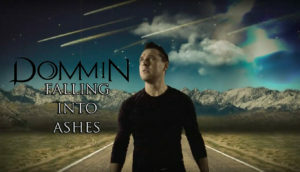 Dommin has offered the song Desire as a free download through PledgeMusic. Click here to get your free MP3! In addition, Dommin reposted the Kate Upton Guess Lingerie Ad with the lyrics to Desire over the top of it. Dommin has officially launched the PledgeMusic campaign for the new album ‘Beautiful Crutch.’ Be sure to head over to www.PledgeMusic.Com/Dommin to get access to exclusive updates, music, merch, instruments and a host of other very special items. In the band’s posts, they have also revealed the artwork for the new album. The RARE album is now publicly available! Originally a special item as part of the band’s PledgeMusic campaign for RISE in 2015, RARE has now been made available to the general public as an abridge 10 song version of previously unreleased songs, alternate version and acoustic versions of songs as well. You can now find RARE at all digital retailers for streaming or download! 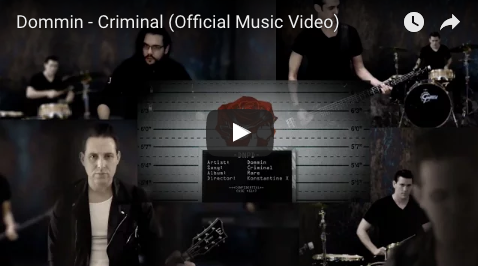 Visit AlteRock.Net to watch the new music video for the song “Criminal” off of the extra-special release RARE. RARE was originally offered to those who participated in the band’s PledgeMusic campaign. The band has since made an abridged version of the album taking it from 14 to 10 tracks and is offering it to the general public starting on September 13, 2016. So check out the video and be sure to download or stream these Rare gems at your favorite digital reltailer. Dommin has premiered their music video for Falling Into Ashes from the album Rise exclusively on Orkus.de. 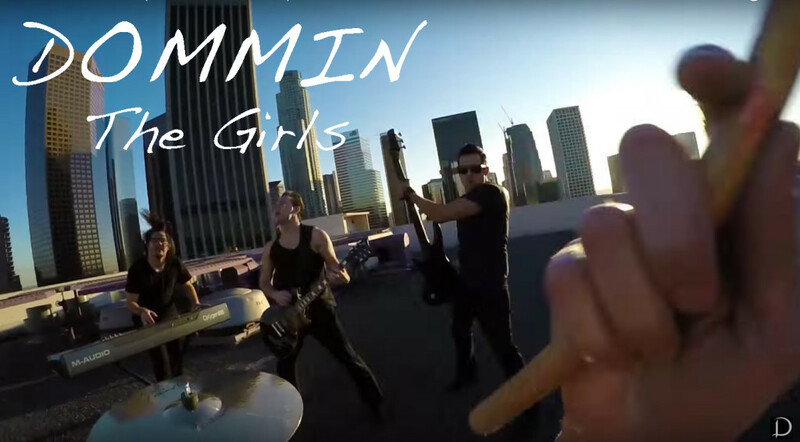 Revolver is hosting the premiere of Dommin’s new “selfie”/POV music video for “The Girls,” a track off of the band’s second album RISE. The band spent an afternoon atop of a downtown Los Angeles building with 360 degree views of downtown high rises and Hollywood hills. The band participated, not only as the performers, but also as the cameramen and directors. They used a GoPro Hero 4 and tossed it around to each band member who was responsible for shooting themselves and the band. The camera even appears to drop twice. The band has even offered “The Girls” as a free download to anyone that is on their email list or joins their email list.